Press play above to listen along. 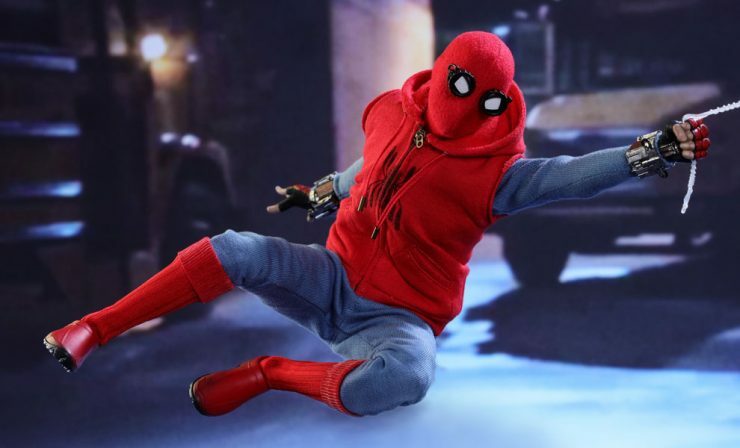 This infamous Spider-Man costume is actually a spare Fantastic Four uniform that Peter Parker needed to borrow after being separated from the alien symbiote costume at the Baxter Building. It’s an old and outdated blue suit with no footwear, and a brown paper bag as a mask to protect Peter’s identity. Johnny Storm also decorated it with a “Kick Me” sign on the back. The suit itself was made of Unstable Molecules. 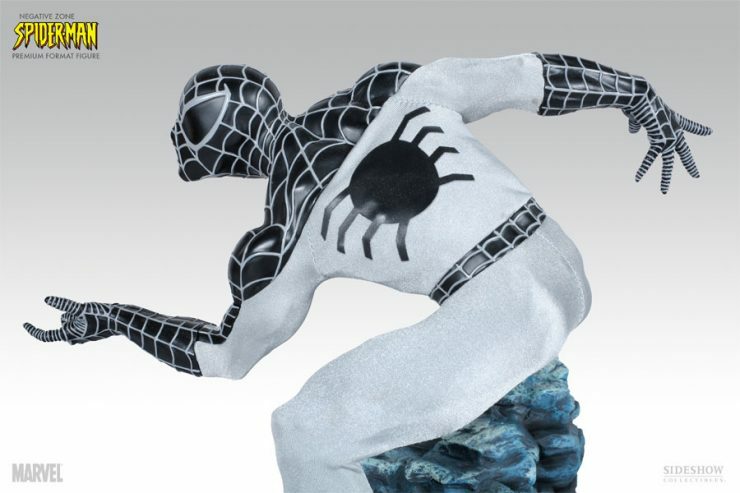 While the Negative Zone suit isn’t the most game-changing of Spider-Man costumes, it is a black and white transformation of his suit that renders him near-invisible when inside of the Negative Zone. Peter Parker was able to use this costume to take on the alternate hero alias Dusk during the Spider-Man Identity Crisis event. This suit is also featured in the Spider-Man PS4 game as an unlockable outfit. 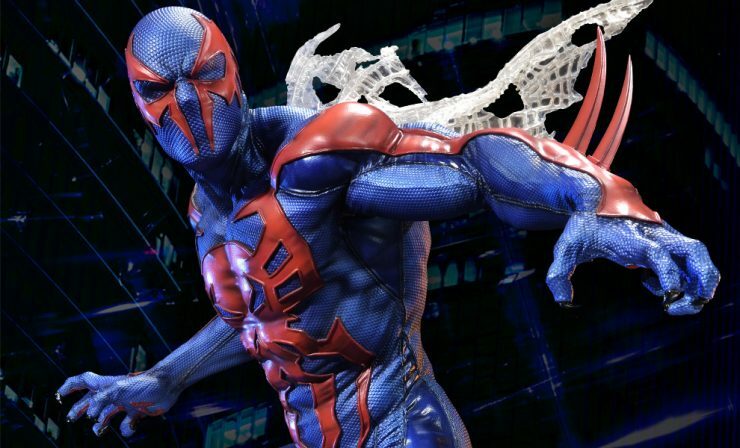 This futuristic Spider-Man suit is worn by Miguel O’Hara, a brilliant geneticist living in New York in the year 2099, who was inspired by the original Spider-Man’s powers. His suit is blue and red, and facilitates the use of his finger talons for wall-crawling, as well as his organic webbing that spawns from his forearms. The costume is also indestructible, made of unstable molecule fabric that allows for gliding. 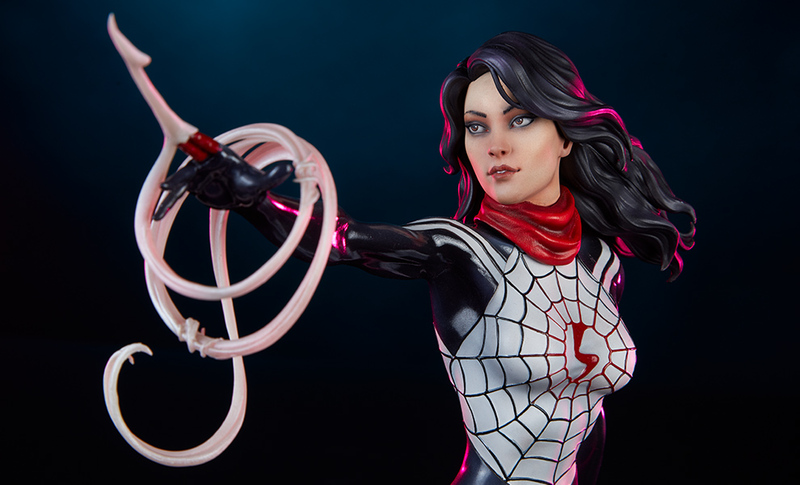 Cindy Moon gained spider-powers from the same spider as her classmate Peter Parker, and after being locked in a facility for several years, she emerged to eventually become a spider-hero like Spider-Man. With her power to create organic webbing from her fingertips, she first designed a web-based suit and mask for crimefighting. Then, she created her more famous red, black, and white suit that features her own unique “Silk” logo and a red mask. Spider-Gwen’s comics debut in 2014 ushered in a new, iconic Spider-hero costume along with this exciting new alternate universe. Her striking costume is primarily black and white, known for its pink and electric blue webbing details. 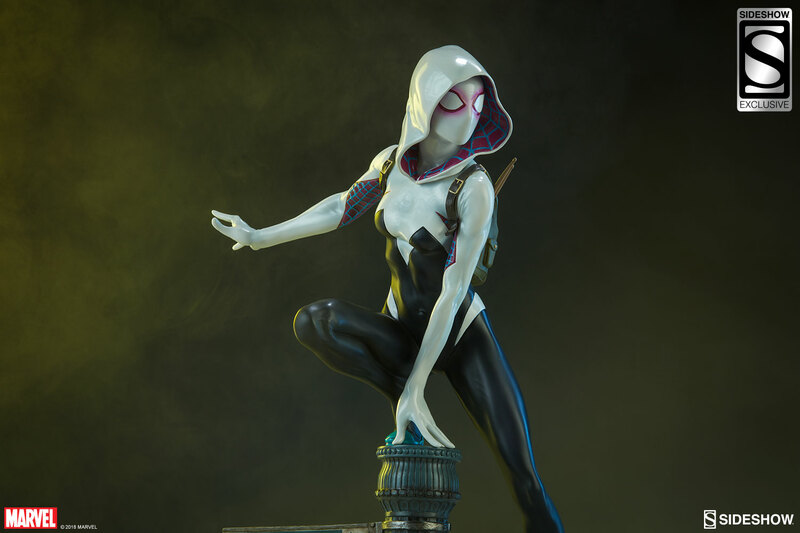 Spider-Gwen’s costume also features web shooters gifted to her by Janet Van Dyne. With Ghost-Spider starring in the Marvel Rising series, Spider-Gwen is an official licensed Halloween costume as of 2018. Peter Parker had to don his homemade Spider-Man suit after having his more technologically advanced suit privileges revoked by Tony Stark, who hoped to teach the young hero a lesson about what it means to be a hero in and out of costume. 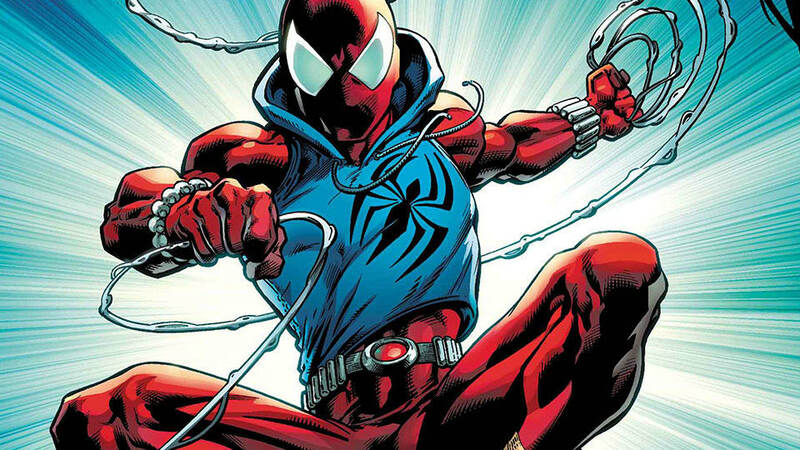 The suit is visually similar to the Scarlet Spider costume from Marvel Comics, featuring a red hoodie, blue undershirt, red boots, and bracelet web shooters. The eye lenses on Spider-Man’s mask function like camera apertures, but are less automated than his advanced suits. This stylish red and gold exoskeleton suit debuted during the Civil War comics story arc, developed by Tony Stark for Peter Parker. The suit was symbolic, representing Spidey’s divided loyalties. It’s most famous for its four mechanical spider-arms, and it had a secret override that could be activated by Iron Man, but Spider-Man had already bypassed the programming. 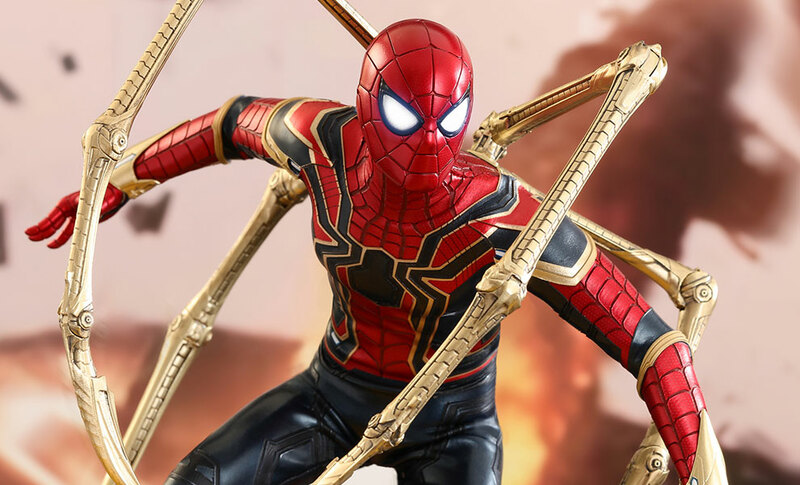 A version of the Iron Spider suit was featured in Avengers: Infinity War. Ben Reilly is a clone of Peter Parker, with all the same strength and abilities as Spider-Man. He is a prominent feature of the Clone Saga storyline, and was eventually murdered. His makeshift hero costume features an iconic blue sleeveless hoodie with his own unique spider-symbols on the front and back. He also has wrist-mounted web shooters and a red spandex bodysuit. Spider-Man’s traditional suit is perhaps the most iconic of all the Spider-Man suits. It’s made from a skintight cloth, has blue legs and arms, with red boots, gloves, mid-section, and mask. It features the Spider-symbol on the chest and has black webbing details and plastic eye lenses. 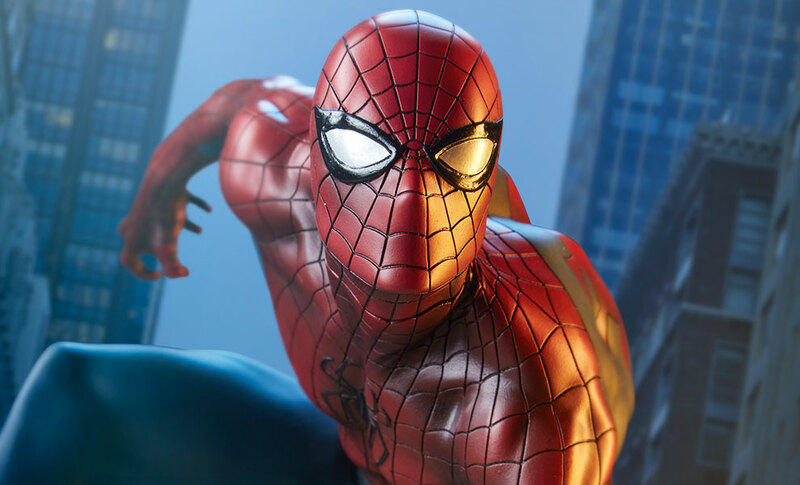 It was made originally to be Peter Parker’s wrestling costume, but evolved to become one of the most recognizable costumes in all of pop culture. Miles Morales is the Spider-Man of Earth-1610, the Ultimates Universe. After Peter Parker dies in his reality, and he is bitten by a genetically altered spider, Miles takes on the mantle of Spider-Man. 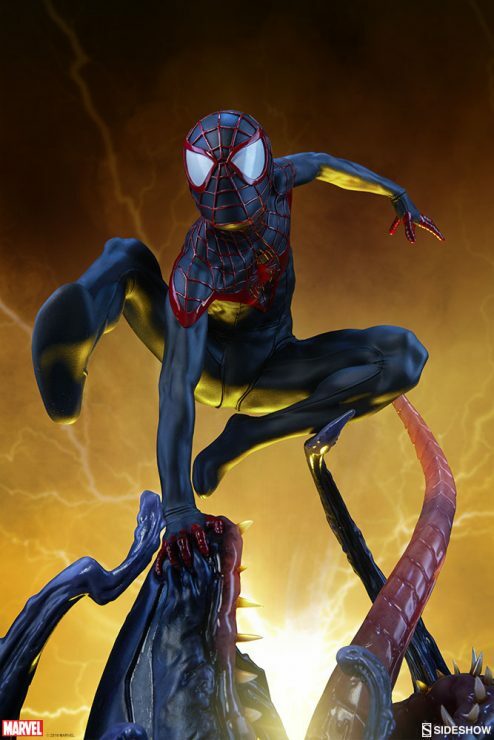 Originally, Miles used a costume in the same colors as Peter Parker, but changed it to his own unique look- a nearly all-black suit with red webbing and spider-symbols. Contrasted with the white eye lenses, Miles’s costume is incredibly popular and well known among the Spider-Verse. Known to fans as the “Black Suit” this is one of the first major costume changes for Spider-Man in comics. 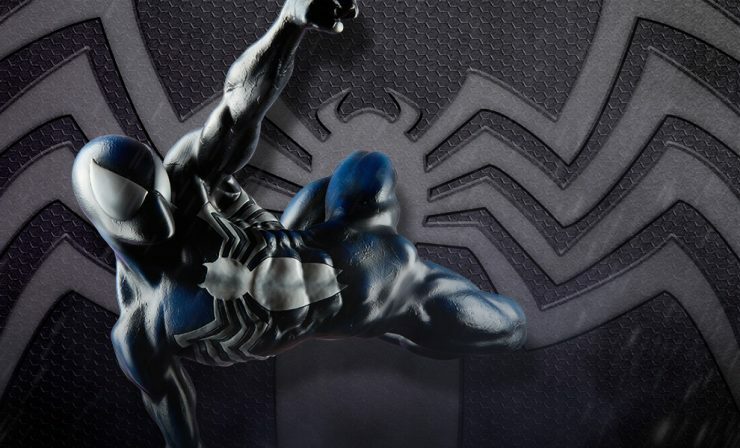 The costume concept was originally purchased by Marvel from a fan, who pitched a design for a Spider-Man stealth suit made of Reed Richards’s patented unstable molecules. Featured in Marvel Super Heroes Secret Wars #8, the black suit fans now know first appeared when Spider-Man tried to repair his torn costume and was encased in black alien symbiote. Peter found that the suit could respond to his thoughts, change its shape, and create unlimited organic webbing. Reed Richards discovered the suit was actually an alien creature- the symbiote- that was trying to permanently bond itself to Peter. It was vulnerable to sound and intense heat. It reattached itself to Peter again before it was removed, and bonded to Eddie Brock, who became Venom. This costume is iconic, sleek, and is one of the most celebrated alternate outfits any Spider-hero has ever possessed. Did you miss any of our previous episodes, including Top 10 Sharks in Pop Culture and Top 10 Luke Skywalker Moments in Star Wars? You can check out the full Geek Culture Countdown podcast on iTunes. Keep an eye out for new episodes and more ways to listen coming soon.